We were looking for a campground near Burlington and the Lake Champlain Islands area so we could do a little exploring. Lone Pine is conveniently located a few miles north of Burlington in Colchester, Vermont. The last time my wife and I were here was back in our college days so we were eager to reacquaint ourselves with the area. Lone Pine is an “above average” campground near I-89 (exit 16) off US Route 7. Most of the sites are located in a large field dotted with shade trees. Interior roads are paved and in good condition. Sites are comfortably large with plenty of room for awnings and slide outs. There are two pools, a rec hall, clean restrooms, laundry and a small camp store. LP gas is also available. The staff was friendly and check in was quick and painless. Our stay was in September so I can’t say much about their planned activities but they do mention the fact that they offer firetruck rides for the kids in season. Burlington is a great little city with plenty to see and do and the Lake Champlain Islands are absolutely beautiful. You’ll have no problem planning day trips from this campground. Although I wouldn’t rank Lone Pine up there with the best, it definitely is clean, quiet and comfortable and a great base to explore this part of Vermont! In my opinion, this campground gone downhill. Rules apply only for certain people. Management is terrible. We where told no refrigerators on side, but you look around and certain people still have them. And that seems to be ok for them. Rent goes up every year, and what is it wee get from that? Also some work on the roads would be helpful. Have seen many little kids go flying on der bikes because off the uneven streets. Just waiting for a lawsuit. Cleaning lady (Sandy) is great. She does a great job, put she is not very appreciated. She works very hart. To make money you need to spend money. This is the worst campground I’ve ever stayed at. It’s more like a mobile home park in an open field. In my opinion, the staff (I think his name was John) was a very rude man and not very helpful. I couldn’t get power to my unit and was without power for hours. The kids were so bored. The pool was closed and seemed that it was dirty. The store was not stocked well. The mini golf was a joke and boring to the kids. Years ago they had a great staff… there was a very helpful girl that cleaned the restrooms. She went out of her way for us and the store staff was great but those days are gone and we aren’t going back. We were very disappointed by this place. There is absolutely nothing to do. The car show announced Saturday, nothing happened. The weather was ugly, but it’s not the campground’s fault. The recreational room was closed, and there was no way to get the key. I have a 4 year old and a 19 month old boys, not their problem. Totally helpless staff, we had to pay for everything. 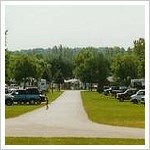 Camping in itself is almost seasonal big RVs, 2 large roads very near from camping. This Monday morning, the “real” camping area is almost empty. We just ask for 1 extra hour of parking. Answer: “you have to pay”. Come on, this is Monday, the place is empty. The pools were closed, the fire truck for kids was not there, I repeat absolutely nothing organized and we should pay extra fees? Honestly, one of the worst places I have ever seen. Worst place I’ve ever been to. Nothing going on on weekends, No band or DJ.’s. Seems everything is for kids only, Nothing for adults who ever is in charge needs a lesson on how to have things for adults at night and kids during the day. The place needs a lot of work. They have problems with the power, it keeps going out. I used to come here with my parents a few times when it was owned by someone else and it was always well kept the staff was nice and there was always something going on for the kids and adults, such as pool games, dances, and a lot more than now. The place has really gone down hill since the last time I’ve been there. Who ever owns it now needs to start putting some time and effort into it to get it back like it used to be or their going to lose a lot of people to other campgrounds that know how to treat campers after all their the one who pay to keep these places going. Unless the owner just doesn’t care about how the place is being run as it seems now. My family has been camping at Lone Pine Campground in Colchester, VT for several years. In the last few years this campground has gone downhill and we are no longer willing to tolerate the bad behavior of management. It starts as soon as you pull in. The office manager is one of the rudest person I have ever met. Management does not understand that we pay their salary, they do not care how they treat customers. As for the campground itself, it is loud and rules are only for certain campers, others can do what ever they want. What they advertise on the Internet and in their booklet is not what is available. The tennis courts are in disrepair. They spend absolutely no money or very little money on the activities, unless you want to “touch a truck” you are in trouble. Their electric power is not what they say. They have very few 50 amps and those sites costs a lot more. In my opinion, this is an overpriced campground. Think twice before you book your summer vacation here. It won’t be as enjoyable as you think. I found that lonepine was more like a mobile home park where u live. My children were very bored, sites are very close together both on top and bottom. The store was not well maintain and they nickle and dime us for everything we do. The staff seem unhappy at there job activies are poor the nite stay very expensive for what u get. I have to agree with Rose, Apple Island in South Hero is so much better. When we are now in the area thats where we stay. Thank you Rose on the tip. I found Lone Pine like camping in a football field not quite very wet dirty sites and not much to do. The store was not very well stocked. I found that staying at Apple Island you get more for your money. Large sites and lots to do. Same price and better then camping in a football field. I would rank Lone Pine very low.